Treasury is likely to give an update on government's financial obligations to struggling state-owned enterprises (SOEs), when it releases the Budget on February 20. In its medium-term budget policy statement released in October 2018, Treasury explained that government's guarantees to SOEs total R670bn. The largest allocation – R350bn – has been made to Eskom, which has a debt of R420bn. SOEs had been struggling to secure access to credit given their weakening balance sheets, poor corporate governance and liquidity challenges. "Large state-owned companies may have to refinance debt at higher interest rates, causing further reductions in profitability and net operational cash, which could in turn affect their ability to service future obligations. 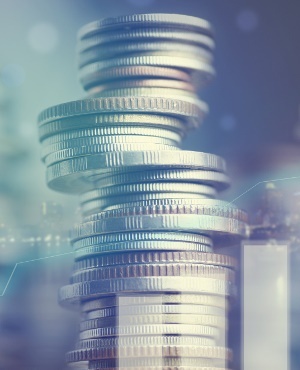 "Companies unable to refinance debt face the prospect of immediate repayments, which may require them to sell assets or otherwise decrease their operating costs," the policy statement read. Here are five SOEs identified by Treasury as posing a fiscal risk. Eskom has a R350bn government guarantee facility. A total of R255bn had been used by the time the mini budget was delivered. The power utility has access to capital markets, but is struggling to contain its R420bn, as was heard in its presentations to the national energy regulator in January. By the end of August 2018, Eskom had secured 73% of its R72bn funding requirements for 2018/19. Treasury warned that Eskom’s weak financial position remains a risk that would require a call on guarantees. Eskom is seeking 15% increase in tariffs in the next three years. Chief Financial Officer Calib Cassim told the national energy regulator, conducting public hearings on the application, that Eskom's loss could be close to R20bn for the 2018/19 financial year. Speaking at the State of the Nation Address, President Cyril Ramaphosa announced Eskom would be split into three entities - generation, transmission and distribution - all falling under Eskom Holdings. 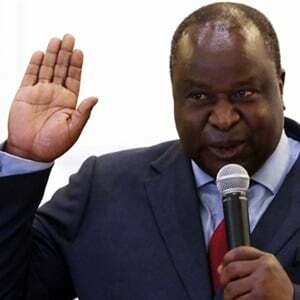 Ramaphosa said government would support Eskom's balance sheet, and Mboweni is expected to provide more details on this in the National Budget. Denel has used R2.8bn of its five-year, R3.4bn government guarantee, according to the policy statement. "Denel will struggle to settle maturing debt on its own because its financial position remains weak," Treasury highlighted at the time. The state arms manufacturer was contemplating selling non-core assets to improve its liquidity position. In December, Denel told Parliament's portfolio committee on public enterprises that it made a loss of R1.7bn in 2018. The company's revenue had fallen from R88.4bn in 2016/17 to over R8bn in 2017/18. The national airline has a R19.1bn government guarantee and had used R14.5bn at the time of the mini budget. Its debt of R14.2bn will mature before March 2019, and government allocated R5bn for 2018/19 to help the airline repay debt, Treasury stated. "In general, SAA is not generating sufficient cash to repay its total debt and will have to negotiate with lenders to refinance or extend maturity dates," the policy statement read. Most recently SAA said it secured a R3.5bn loan (from local lenders) to keep operating until March 2019, Fin24 reported. The airline needs a total of R21.7bn for its turnaround plan to be implemented in the next three years. The roads agency has government guarantees of R38.9bn, which have not yet been called. However, due to the failure of the agency's ability to raise revenue from e-tolls, there may be a risk that it calls on the guarantee to meet its obligations. As a result Treasury had to allocate R5.8bn to Sanral in 2018/19. Sanral, in the meantime, has started issuing summonses to motorists which have defaulted on e-toll payments, Fin24 previously reported. The fund's operational deficit declined from R35bn in 2016/17 to R26bn in 2017/18. Treasury also highlighted that the 30c increase in the RAF levy in Budget 2018 would not be enough to cover the fund's liabilities. This is expected to grow from R206bn to R393bn by 2021/22. "The RAF will require further large increases to the fuel levy in each of the next three years to manage the short-term liability," Treasury said at the time. In a written reply to a parliamentary question, Transport Minister Blade Nzimande told the chair of the portfolio committee on transport, Dikeledi Magadzi, that the fund is "inequitable, wasteful and open to abuse". A new scheme, which is financially viable, is being set up.